For this week’s cocktail, we are going old school. 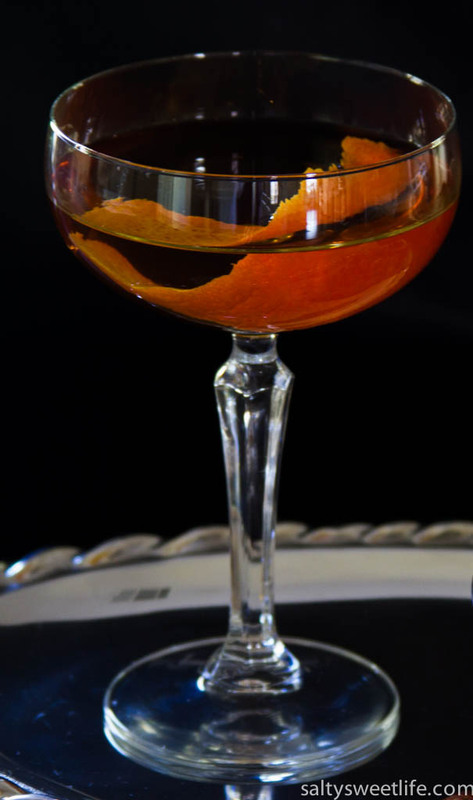 The Martinez is a classic 19th century cocktail comprised of four ingredients that should be included in any well-stocked home bar: gin, sweet vermouth, maraschino liqueur and orange bitters. 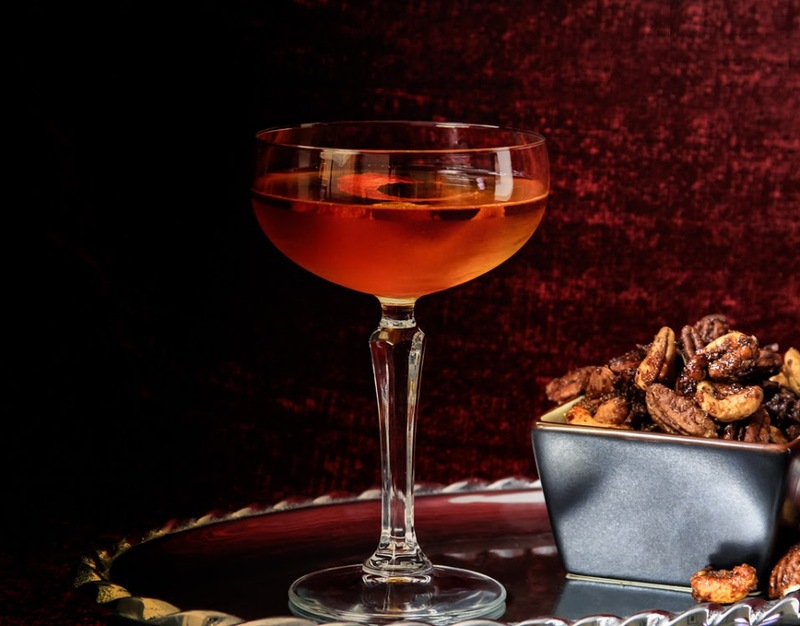 The Martinez is a drink that begs to be savored, preferably in a darkened room festooned with lots of velvet and with a bluesy refrain playing in the background. There are no frills here–no sugared rims, no floating flowers, just refinement and simplicity in a glass! I was inspired to make this drink after seeing the recipe on Food52 and it is remarkably simple. I used Hayman’s Old Tom gin, Martini & Rossi sweet vermouth, Christiani Maraschino and Scrappy’s Orange Bitters. Combine all of the ingredients except for the orange twist in a mixing glass filled with ice. Stir until chilled, then strain into a coupe glass. With a vegetable peeler or zester, remove a strip of zest from an orange or lemon. Twist the peel over the drink to allow the oils from the citrus to fall into the glass. Now, go put on some good music and put your feet up for a while! Cheers! Looks great! Simple, refined and seems easy to make. How does it taste? It was very smooth, and only a tiny bit sweet from the vermouth and the slightly sweeter gin. I would consider this a “manly” drink! In other words, my husband would totally dig this one! I really liked the drink, but had to sip it slowly because it’s on the stiffer side. Sounds right up my alley! Thanks!